Standard Covers - Cal-Mil Plastic Products Inc. Protect your delicious pastries, croissants, muffins, doughnuts, and more with these standard rectangular covers! 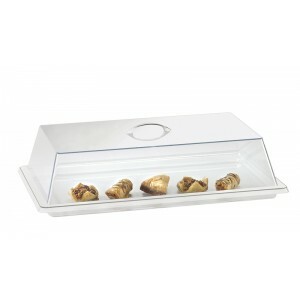 Featuring a clear polycarbonate body, these covers keep your baked treats fresh and ready to serve!